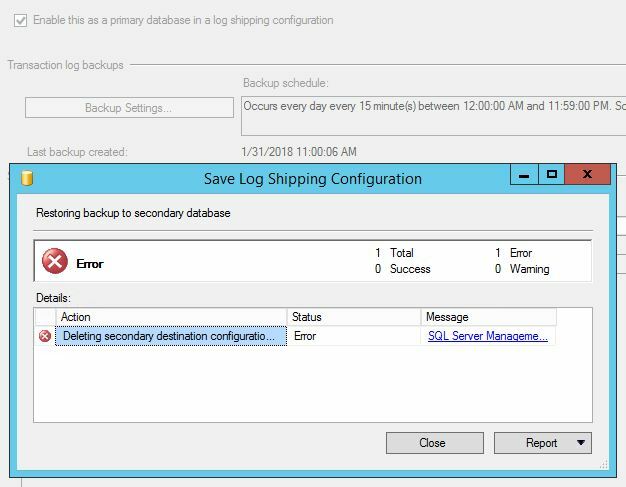 Most of the time it is very easy to remove secondary server from your log shipping configuration. But what happens if secondary server is not available. We had this case on one of our testing environment, we had secondary server on the cloud and after a month server lease expired. When we tried to remove that server from our log shipping configuration we end up with following errors. SQL Server can not establish remote connection, since secondary server is not available anymore . 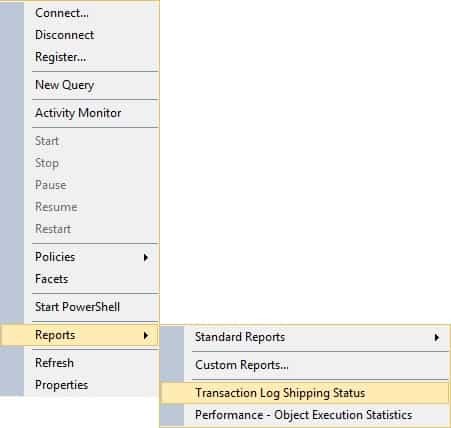 To check current log shipping configuration you can use Log Shipping System Stored Procedure. sp_help_log_shipping_monitor this is the base behind Log Shipping Status report. So if you already know names of primary and secondary DB and secondary server solution is quite simple, to remove secondary server manually just use following script. sp_delete_log_shipping_primary_secondary must be run from the master database on the primary server. This stored procedure removes the entry for a secondary database from log_shipping_primary_secondaries on the primary server. More info you can find on the following MS article.